Jewish Agency for Israel to provide immediate financial assistance to families across Israel who cannot return to their homes. 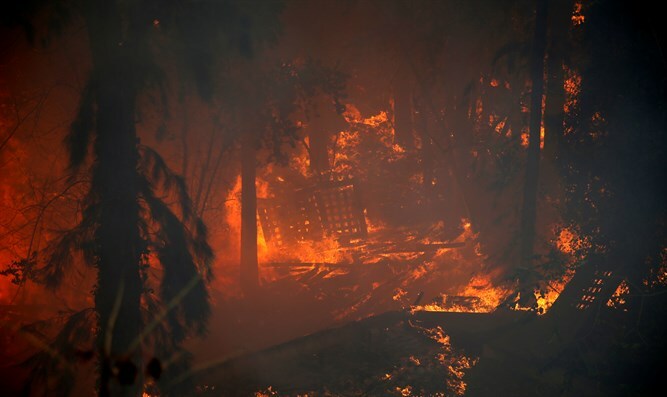 The Jewish Agency for Israel will provide immediate financial assistance to hundreds of families across Israel who cannot return to their homes due to damage caused by the wildfires of the past week. The organization announced on Sunday that a grant of $1,000 will be provided to each family in order to help them address urgent needs presented by the loss of their place of residence. Eligible recipients will be identified by local authorities in coordination with the National Emergency Authority. Funding for the grants will be provided by special contributions from the Jewish Federations of North America—led by the Jewish United Fund of Metropolitan Chicago—Keren Hayesod-UIA, and additional donors. The fires that ravaged Israel over the last week have caused close to 100,000 Israelis to flee their homes. There were no deaths but 122 people were treated for injuries, mainly smoke inhalation. Around 700 homes were damaged or destroyed, with the most extensive damage coming in the city of Haifa, where tens of thousands of residents evacuated their homes on Thursday as a fire raged through several neighborhoods in the city. Finance Minister Moshe Kahlon announced on Saturday night that residents who are unable to return to homes which were extensively damaged in the fires, will receive an initial compensation from the state of 2,500 shekels per person. If it is determined that a specific fire was a result of terrorist arson, the state would have to fully compensate the homes affected.